One evening in the Bahamas, we had grabbed a quick bite for dinner and munched quietly, perched at the edge of the beach and watching the sun set. I mused aloud that the sunrise would probably be pretty good too. I've always wanted to photograph a good sunrise. And it's on my list of things to do before I'm 30, too! The thought seemed to stick. It's not every day that we're on an Island, surrounded by beaches. As he pointed out: "We're on holiday; we can do what we like! As long as it's not a fellony." So we decided to go for it! So it was settled. I set an alarm for 6:30am the next morning and when it rolled around...well it was sort of cloudy. And quite windy. Not to mention it seemed awfully early. And somehow getting out of a lovely comfy bed seemed less appealing... So we decided to catch the sunrise another day. What followed was a series of surprisingly soggy mornings as the Bahamas experienced a run of tropical showers. And while they did nothing to dampen our spirits when they occasionally hit, downpours just didn't feature in my morning sunrise ideal. No one wants to tell the story of an overcast dawn where they had to clutch their waterproof around them and fight their umbrella. I can do that most days on my way to work. 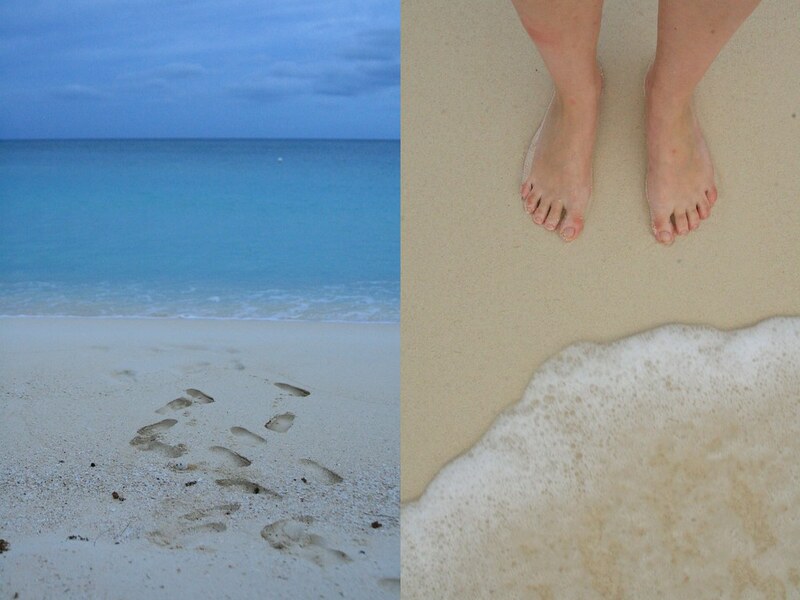 A few days passed, and we moved on to Grand Cayman. The forecast seemed promising, the beach was 2 minutes from our hotel, and so we set the alarm for 5:30am. 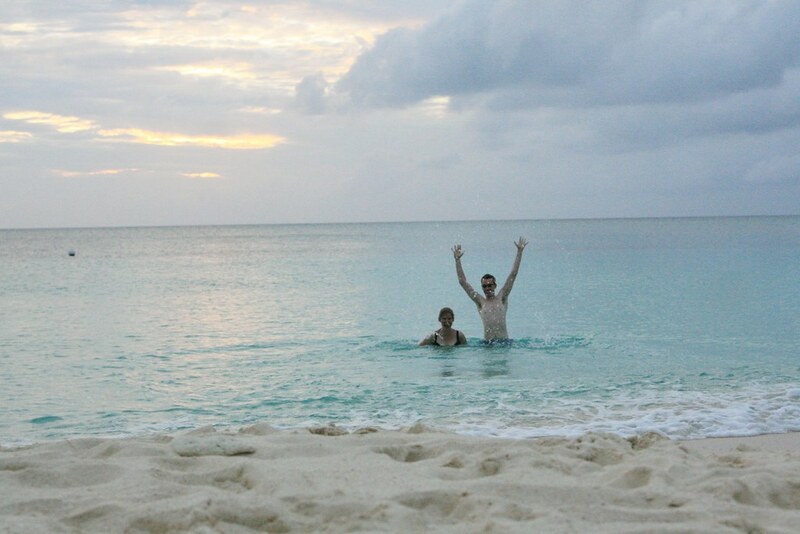 The Cayman Islands being in a different time zone, sunrise was an hour earlier. Ouch! At half five, I peered out of the door. Dry. Not too windy. Definitely warm. So I poked the man fully awake and he made the same checks. Yep, the weather was in our favour. 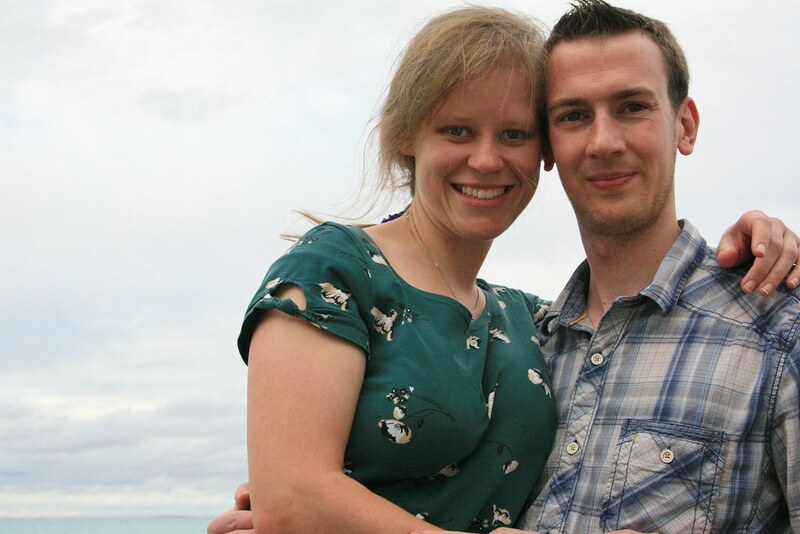 We dressed quickly, grabbed a towel to sit on, and scuttled to the beach. I had a quick paddle in the sea in the pre-dawn gloom (you've always got to test the waters) and then retreated to sit with him on the towel. 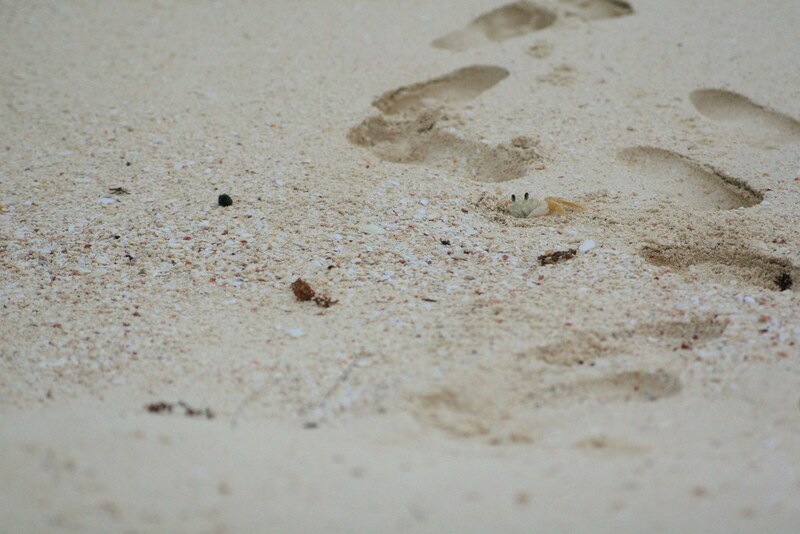 As I sat down, a small crab emerged from the my footprint, bringing with him a little flurry of sand. He eyed us, motionless for a few moments. And then quick as a flash he disappeared back down his hole. This process was repeated regularly, and he seemed to be building a little home, burrowing down into the sand. Sometimes he would stop and rest for a while before popping back inside. Other times it would be long time before he re-emerged. We realised shortly that there was a whole army of crabs from tiny ones to palm-sized beasties all busying away at their own home improvements. It was fascinating. And after all, it's always a little bit nice to watch other people work when you're not doing anything. After about an hour, we were both peering around and frowning. Somehow, it had become light. Suspiciously light. Daylight, even. In fact, the sun was very much up and had risen inconspicuously behind us. That's right. We missed it. With the benefit of hindsight, it's daft to sit on a beach and expect to see the sun rise when you know full well you're staying on the West bay. Yes, the WEST bay. Everyone knows the sun rises in the East. What a pair of numpties. 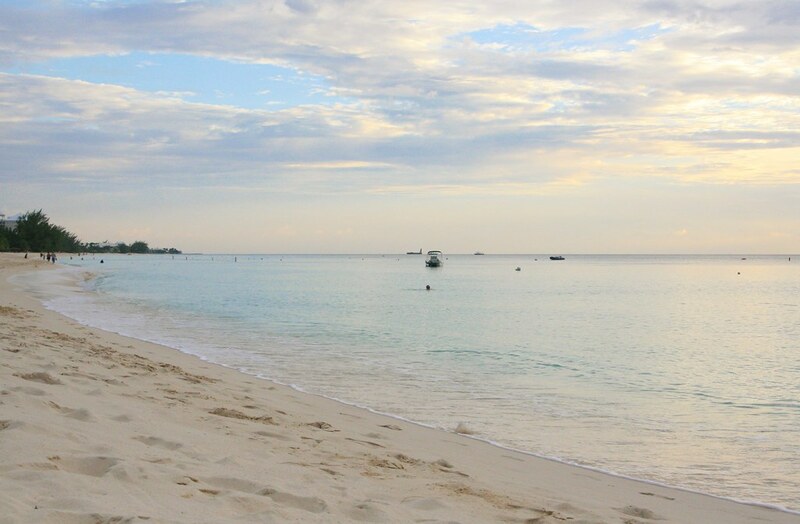 It was nice to spend sunrise on an idyllic Caribbean beach with azure waters and crystal sands etc. etc. but I don't half feel like a muppet for facing the wrong way. So it seemed as though we weren't going to be able to capture the dawn after all. P.S. Or maybe this just isn't the end of the story? Loved this ~ you made me laugh out loud! Smiled and chuckled the whole way through. Thank you.